I added Artificial Intelligence to BaconSandwich. So you turned BaconSandwich into Glad0s? So all 3 of them want to kills us. Bacon now counts every word you submit. Every day at midnight he posts the top 10. Ok so the chat is having a netsplit at the moment, but Primus will fix it whenever he's back online. 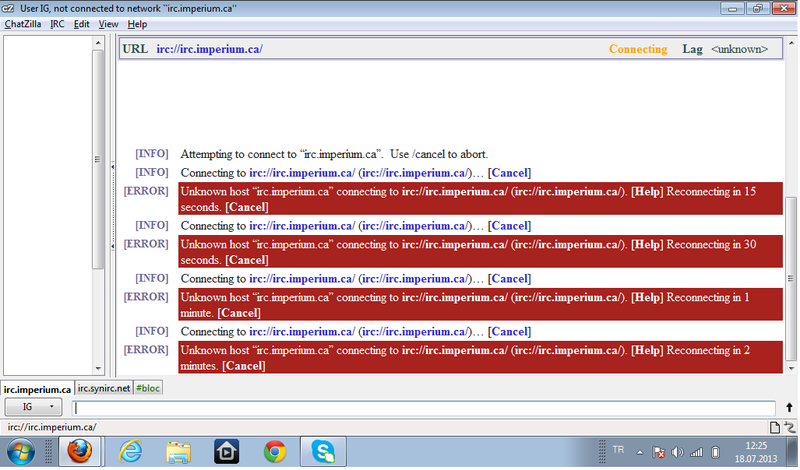 Basically, the Imperium server has 3 subservers (eu.imperium.ca, irc.imperium.ca, us.imperium.ca) and they all connect to the main server. But now they don't connect to the main one and work seperately. That means that there are 3 symthic channels at the moment, so that's why it looks that not everyone is in there. Some people are connected to the us server while some are connected to the eu server etc. Since Bacon is in the EU server, I suggest everyone connects to the EU server for now until the netsplit has been fixed. If you use Mibbit (Mibbit chat network) just click on server, next to the drop down list. For pdwr and console scrub race, you sure are knowledgeable and helpful, athemoe. I'm gonna revive this thread like it was revived last time. But this time it seems to be the whole imperium server. Bacon is shutting up also. nvm it's up for me. ay.